Though Research In Motion (RIM) has in a way honored blackberries just recently by naming one of their most coveted smartphones after the tiny goodies – BlackBerry, these gifts of the Nature in form of small, purplish black-colored succulent sacs are benefiting mankind since ages silently, without any show-off. Ironically we know the ins and outs of BlackBerry but we don't know much about the health benefits of blackberries; and that's the reason we should learn about them so as to offer a small tribute to these highly valuable fruits. Blackberries are soft juicy small-sized fruits growing on trailing vines or thorny bushes. 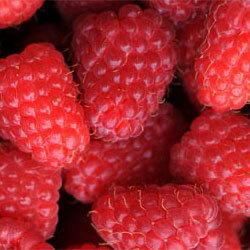 They come under the genus Rubus and there are more than 375 species of them – all being edible. There are some hybrid species too. 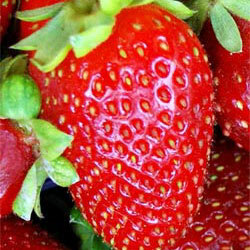 Botanically blackberry is an aggregate fruit meaning it is composed of several small drupelets i.e. 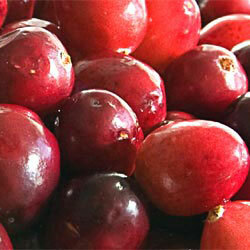 drupes. Blackberry plants are perennial typically bearing biennial stems upon a perennial root system. 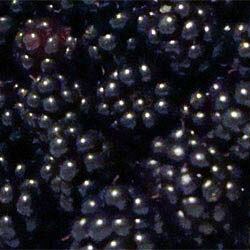 Blackberries are widely used for making jams, jellies, desserts, candies, pies, crumbles and even sometimes wine. However, raw blackberries are more preferable from health point of view. Their flowers are good producers of nectar from which a dark fruity honey is yielded. Read more about blackberries. Blackberries contain a number of phytochemicals like polyphenols, anthocyanins, flavonoids, ellgic acid, salicylic acid and fiber. It is because of the anthocyanins that the blackberries have such a rich dark color. These tiny pouches full of juice rank high amongst fruits for their antioxidant strength, especially because of the high amount of polyphenolic compounds they contain like tannins, ellagic acid, quercetin, anthocyanins, cyanidins, ellagitannins and gallic acid. Apart from polyphenols and phytochemicals, a high amount of nutritional contents too occur in blackberries, like vitamin C and K, fiber (soluble as well as insoluble) and manganese. Even blackberry seeds are highly beneficial to health (but are not preferred by most gourmands) being rich in omega-3 and -6 fatty acids which are considered extremely healthy fats, and also in carotenoids, proteins, dietary fiber, ellagic acid and ellagitannins. Blackberries are low in calories, high in fiber and rich in nutrients, so you can eat them in a large quantity to get huge health benefits without the risk of adding to your weight. More interestingly, various species of blackberries offer more or less similar kind of health benefits which means you can eat any of them. A study published in 2006 in The American Journal of Clinical Nutrition says that the antioxidant content in blackberries is 5.75 millimoles per serving which is far higher than other foods. Thus if you consume blackberries regularly your overall health will be good, your athletic performance will improve and you can keep away from diseases. Anthocyanins aka "flashy flavonoid" contained in blackberries have been shown to protect the brain from oxidative stress and therefore can reduce the effects of dementia and Alzheimer's disease. In short, if you eat a cup of blackberries every day, you get 62 calories only, besides less than 1 g of fat, zero cholesterol, just a gram of sodium, 2 g of protein and as much as 7.6 g of fiber which is more than even a cup of bran flakes (7 g of fiber). So, if you are trying to lose weight, blackberries can help you to do that by making you full till your next meal and offering you enough energy, thus preventing you from snacking on unhealthy foods. A study published in 2013 in "Life Sciences" (distributed by Science Direct) by the researchers from Policlinico Universitario, Messina, Italy, says that the antioxidants in blackberry juice acts on vascular tissue injured due to free radicals stimulated by peroxynitrite – an oxidant that can harm or devastate DNA and cells. 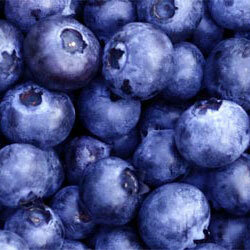 Anthocyanins in blackberries can increase the antioxidant potential of the juice and protect the cardiovascular system. A study published in 2009 in "Nutritional Neuroscience" – a reputed medical journal – revealed that blackberry consumption may have a positive effect on motor and cognitive skills, which usually diminish with age. The said study was conducted on aged rats wherein the rats were fed blackberries for 8 weeks and in the end were tested for their ability to perform various tasks. They were found to show better balance, coordination and motor performance than the control group. They also displayed higher short-term memory performance. The scientists believe that the polyphenols in blackberries enhance the levels of antioxidants to such an extent that they potentially benefit aging adults. The research conducted by Oregon State University has proved that blackberry consumption may help kill bacteria in mouth, because they contain rutin, gallic acid and ellagic acid which have antibacterial and antiviral properties. Also in 2012, scientists at the University of North Carolina and the University of Kentucky tested the effects of blackberry extract on periodontal health for 10 different types of bacteria, wherein they inferred that the ability of the blackberry extract to kill pathogens is outstanding and together with its antiviral and anti-inflammatory properties, it can become a promising component in products aimed at preventing or treating periodontal infections. So, next time when you eat blackberries, don't just look at them as ordinary tidbits but eat them with more respect because they are going to clean your body from numerous diseases once they are inside you. Happy blackberry-eating!